It’s no secret we LOVE science experiments in our house and I try to do as much STEM education at home as possible. We typically do a lot of experimenting with household objects using bowls, spoons and old medicine droppers as our materials. Having ‘real’ science tools for creating at-home science experiments was such a nice treat for my littles! 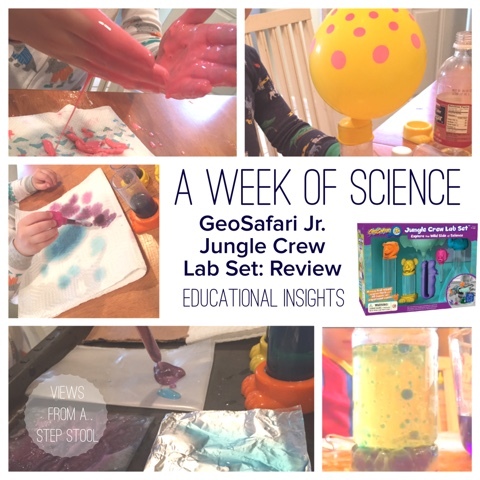 We used the Jungle Crew Lab Set for these experiments at home. 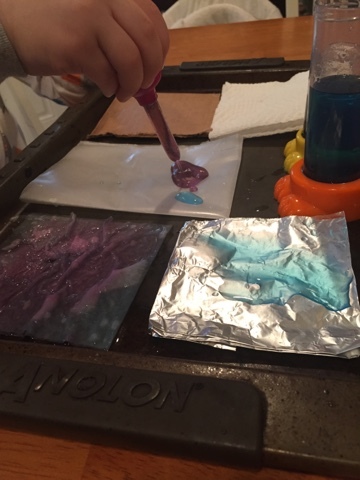 While you definitely don’t need fancy tools to experiments at home, these really kick it up a notch for the kids, mine just loved using them! 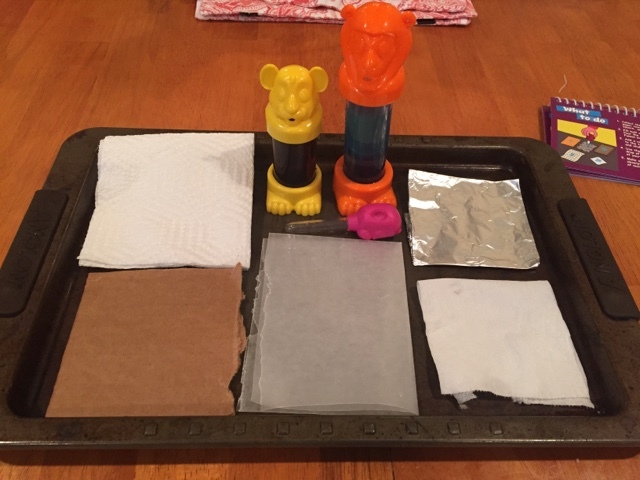 The kit comes with a booklet of science activities you can do with the set, we did one a day for a week and were able to use items we had in our house. Score! The tools of the set are nicely constructed with sturdy plastic and very cute animal detail. I thought it was clever how the lager test tube is a lion, and the smaller test tube is it’s cub. Those kinds of details are the little things that make parents happy and spark conversation. I also found that the suggested age of 3+ was very appropriate. My 4 year old was able to use all of the tools with great ease, and my 2 year old could use all of the tools with minimal help. 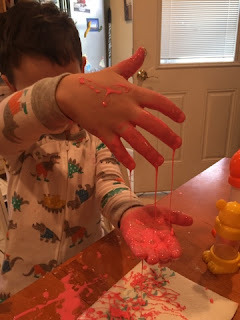 The included booklet offers a variety of experiments with a range of difficulty and messiness! With this experiment, we inflated a balloon with the gas created by combining baking soda and vinegar. The instructions were very clear and easy for my 4 year old to follow. 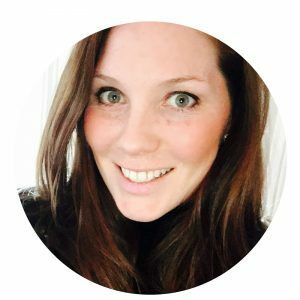 To see a video tutorial, click below. We have made these before for our calm down corner with oil and water which requires movement of the bottle to work. By adding the baking soda and vinegar to this experiment, the lava lamp effect worked without us having to move the bottle at all. This one was really fun for the kids. We have mixed cornstarch and water together before to make sidewalk paint, oobleck etc. 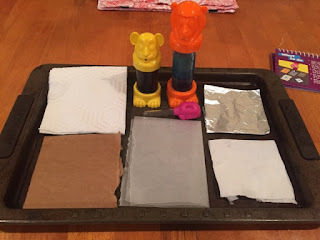 By having the test tube instruments to measure and mix the ingredients made it like a brand new (and fun) experiment for my kids! We ended up using the oobleck to make drip castles and explore the properties of the slime when it was wet, and when it had dried. A MUST if you purchase this set! Talk about simple setup and a contained mess combined with lots of learning! I set up 5 different materials; toilet paper, paper towel, cardboard, aluminum foil and wax paper. We spent some time feeling each material and making predictions about which materials would absorb the liquid. 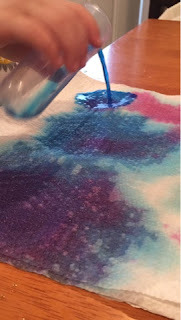 Filling both test tubes with water, mixing food coloring, and then using the dropper kept my kids very entertained. I love how easy the dropper is for both my 2 and 4 year olds to use! 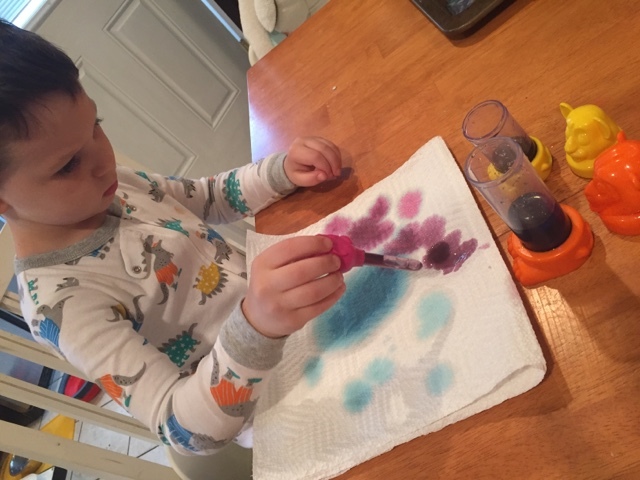 Another simple experiment, we filled both test tubes with colored water and then used the dropper to paint pictures on a paper towel. It was very interesting to see how the water would spread along the paper towel, combining with all of the other colors. We came up with some beautiful artwork! I LOVE combining art and science! Aren’t these fun?! You can grab the Jungle Crew Lab Set here, or just try some of these experiments on your own!